Farm-to-table. Field-to-fork. Foodie-approved. You’ve heard it all before. But let’s be real, this is Kentucky. We were farm-to-table before farm-to-table was cool. Our imaginative culinary scene is all about local – local relationships between local chefs and farmers, local ingredients sourced from area farms, local support for local restaurants – if it’s local, we like it. While we’re no stranger to the southern classics, we go way beyond beaten biscuits and gravy around here. 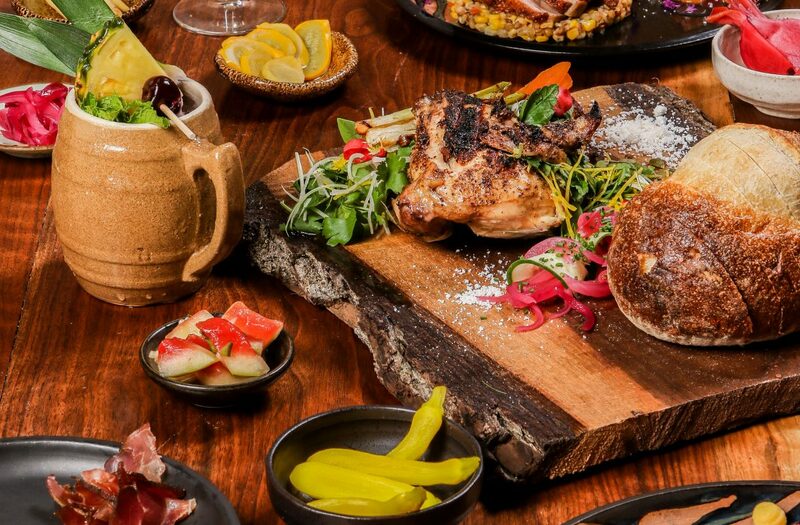 Re-imagined southern staples coupled with inventive bourbon-infused creations lend a unique Kentucky quality to our dining scene that you’ll be hard pressed to find anywhere else. So, come see what all the fuss is about. 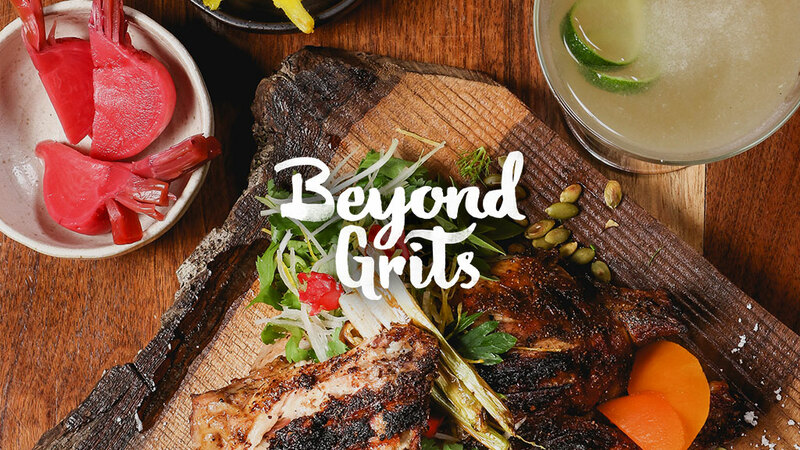 Dig into our flourishing, flavorful, fearless dining scene, which we’ve affectionately dubbed Beyond Grits. Left: Enjoy farm-to-table dishes, such as this heirloom tomato salad from Dudley’s on Short. Right: Make reservations at Middle Fork Kitchen Bar on the campus of the old James E. Pepper Bourbon Distillery. The epicurean cuisine you’ll find here is backed by some of the best chefs in the country, including the likes of the renowned Ouita Michel, Mark Wombles, Jeremy Ashby and Jonathon Lundy. They and other rising stars in the area are known for collaborating with local farmers and restauranteurs, allowing people to reconnect with their food and ensure that it makes it to your plate in as few steps as possible. By the way, just because our culinary scene is diverse and expansive doesn’t mean we haven’t nailed the art of southern cuisine. From smoked meats and BBQ doused in spicy homemade sauces to good ‘ol down home biscuits, grits and gravy, if southern eats are what you’re looking for, we won’t let you down. We’ll let you in on a little secret about what makes our food so dang good. You see, here in the K-Y, we really like our bourbon. We like it so much we put it in our food. That’s right. We don’t mess around when it comes to America’s Native Spirit. Which is why we’re really, really good at infusing stuff with bourbon. 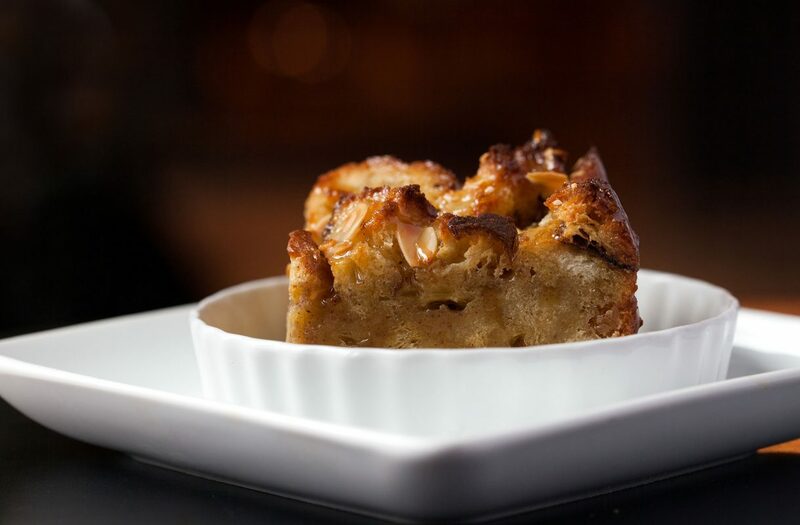 Scattered across the pages of the menus around town, you’ll find bourbon bread puddings, bourbon balls, bourbon-infused coffees, bourbon-glazed meats, bourbon-soaked cherries, bourbon vinaigrettes, bourbon-infused craft ice cream, bourbon barrel-brewed beer – you get the picture. Call it an obsession, but here in the heart of Bourbon Country, we wouldn’t have it any other way. Don’t Just Eat it. Experience it. Left: Enjoy live music and sample 50 local restaurants and food trucks at Crave Lexington. Right: Shop for fresh fruits and vegetables from local farms at our Farmer’s Markets. Here, we believe food is more than something you eat – it’s something to celebrate. Throughout the year, you’ll find endless events, experiences and ways to enjoy the diverse, ever-changing food scene that continues to shape our beloved city. From annual food festivals and monthly dinner series to weeklong celebrations of burgers, beers and restaurants, nothing brings Lexingtonians together quite like an event surrounding food (usually alongside a little live music). Experience the farm-to-table frenzy up close at a local farmer’s market. The Lexington Farmer’s Market is consistently ranked one of the best in the state, and in years past has ranked nationally. Peruse fresh-from-the-farm produce and take home seasonal selections of farm-fresh eggs, local honey, pastured meats, cheeses and even homemade pet treats. We’ve also developed somewhat of a penchant for Food Trucks – with more than 30 in the area, you never have to walk far to get a genuine taste of Lexington on wheels. Is your mouth watering yet? Good. 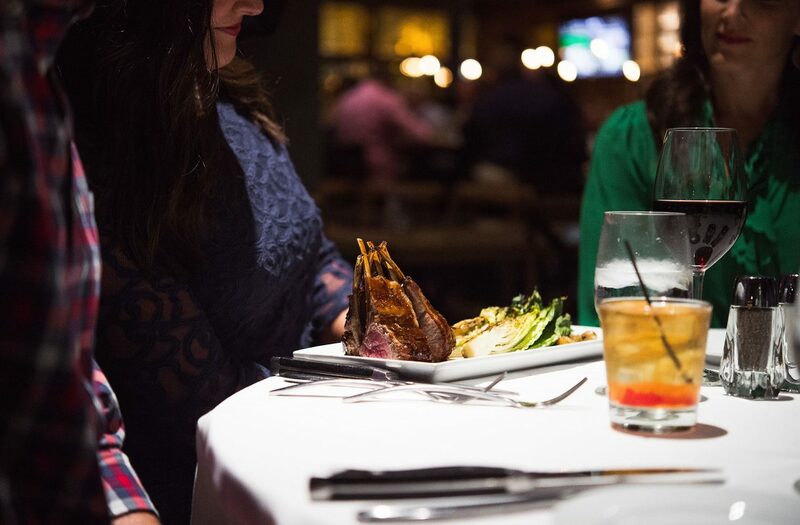 You’re cordially invited to pay a visit to Lexington’s vibrant culinary core and dig into dining like you’ve never experienced. Download or pick up your very own copy of our Beyond Grits dining guide at the Lexington Visitors Center to have on-hand during your visit, since you never know what you might stumble upon as you explore the city. Bonus: the guide contains recipes from local Lexington chefs that you can replicate at home.